Do you have lots of plastic spoon left after party? 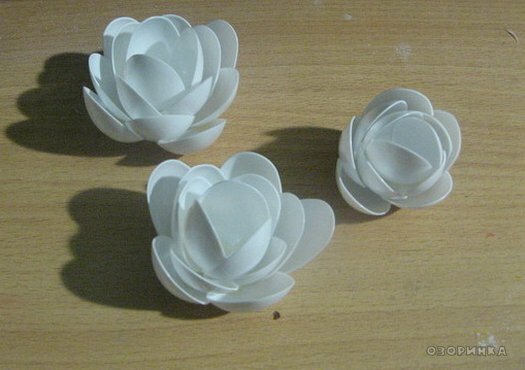 Recycle them and turn them into something pretty and decorative for your garden. 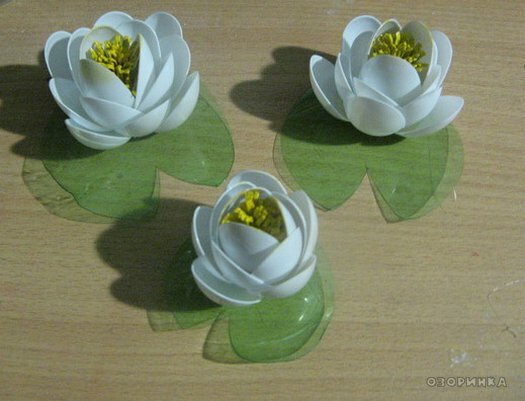 This water lily flower is a great DIY recycle project you can try, you can make them for your mini pond, or garden for decoration. Lily of plastic spoons may not be brighter than the flower of corrugated paper , but it has its advantages . Unlike paper , plastic tolerates moist environment , so a pretty flower can decorate a small artificial pond . Furthermore , the plastic inlay can tolerate wet cleaning , whereby it will look aesthetically pleasing for a longer time. To create crafts from plastic spoons require white spoon in two sizes and a plastic bottle (preferably green). 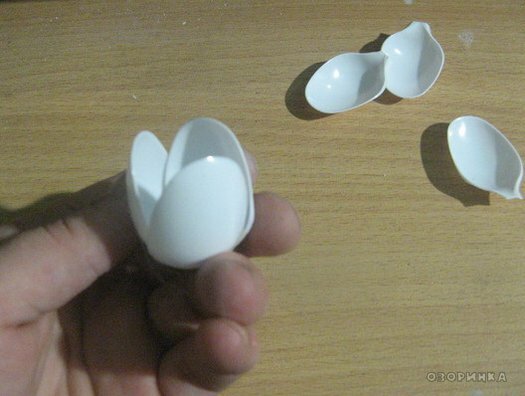 Make petals by neatly cutting off the handles of large and small spoons. 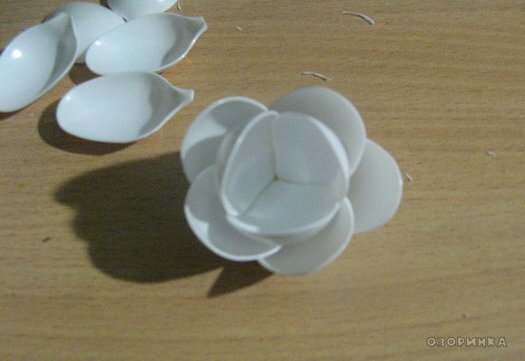 Make the central circle of petals , gluing three small spoon with each other using hot glue. 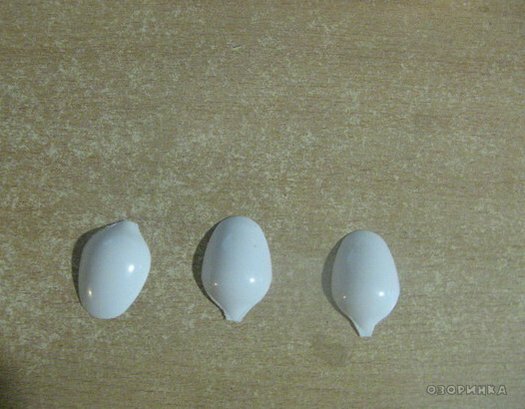 Glue petals of the following circles , increasing the number of spoons and change to bigger spoon. 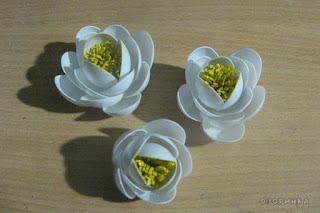 Make flower middles. 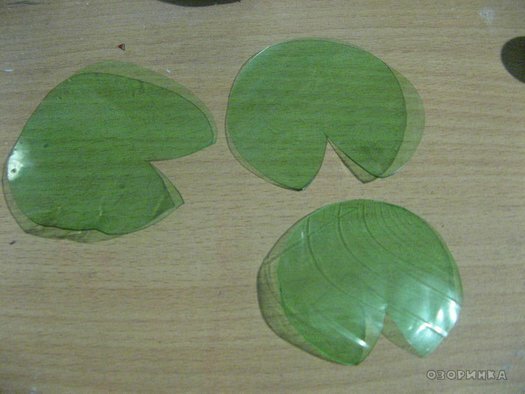 Cut a rectangular plastic from plastic bottle (size 12 × 2.5 cm). 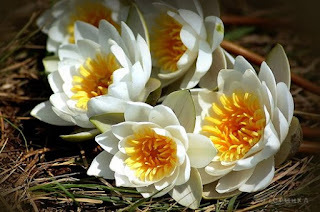 Depending on the size of water lilies, the size for flower middles may vary. Cut along the short side of the rectangle into strips to the end – it turns a kind of plastic fringe, which should be rolled up and fix the roll using hot glue. Paint the fringe with yellow color. 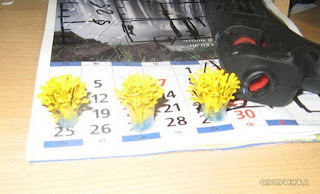 Stick the middle of a flower with hot glue, be sure that the paint is completely dry . Cut out of plastic for leaves of water lilies . Best to use plastic bottle green , if not available, use transparent plastic and paint it in green. Glue flowers to the leaves.